The entire city is swept up in 12th Man madness as our Seattle Seahawks made their way to Super Bowl XLVIII and I right along with it. 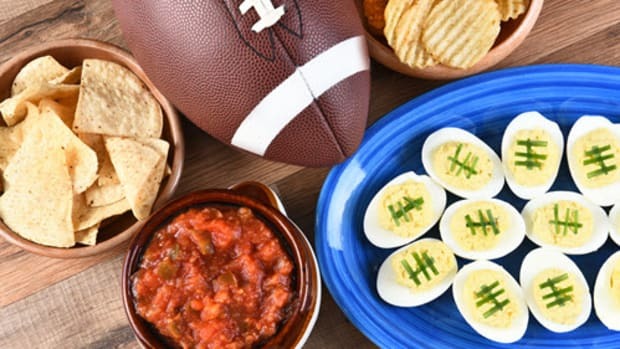 I couldn’t resist putting together a Seattle Seahawks Super Bowl Party table to share a few ideas and tips that can make a big impact at your party for very little cash. 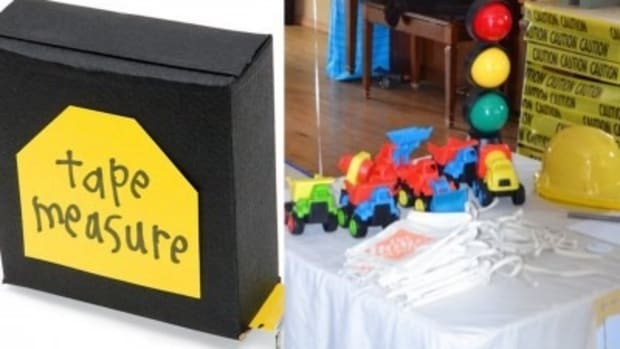 Set the scene with black butcher paper and draw in chalk to mimic play boards. 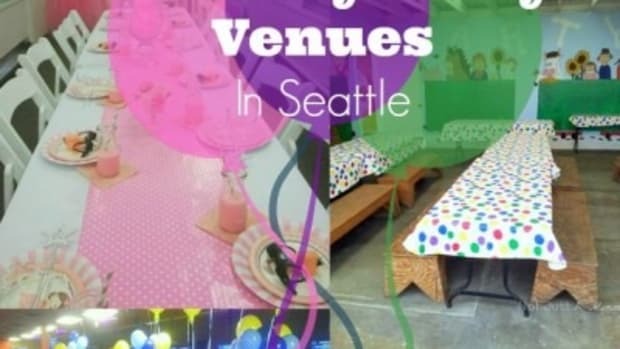 Where do you find butcher paper you ask? 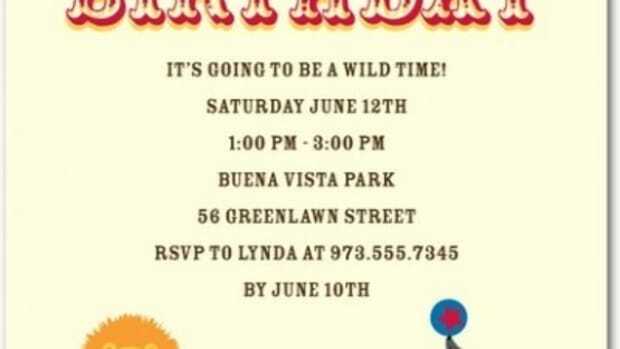 Head out to Display & Costume…you can’t beat .25 a foot. 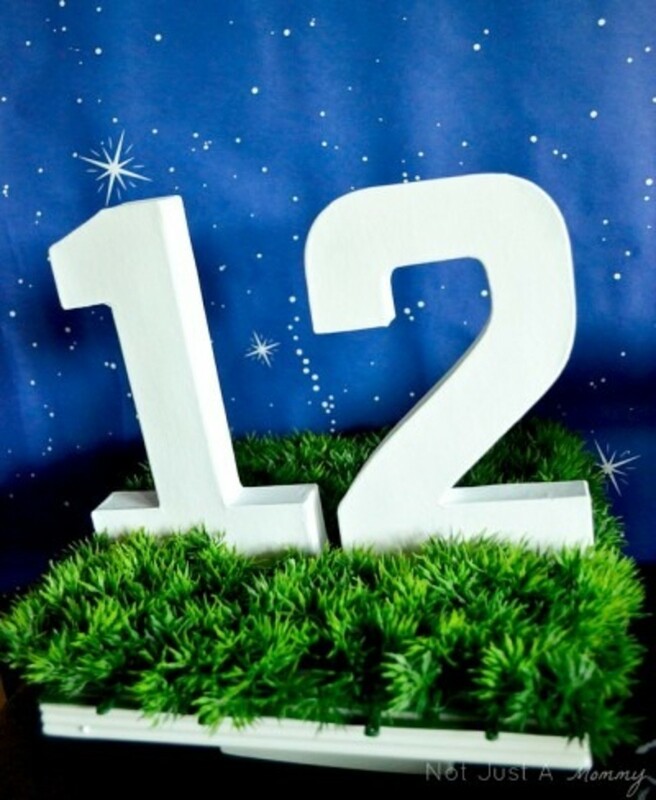 Any Seattle Seahawks Super Bowl Party needs to honor the 12th Man! 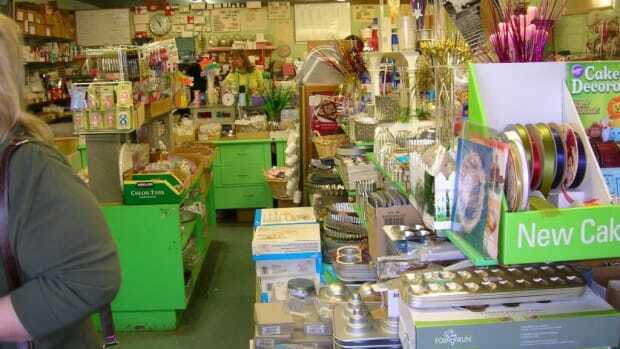 Did you know the only place in our area I could find those papier mâché numbers was Hobby Lobby? They are easy to paint white and make the perfect addition to any table. I propped mine in my very versatile plastic grass, an old purchase from Michaels. 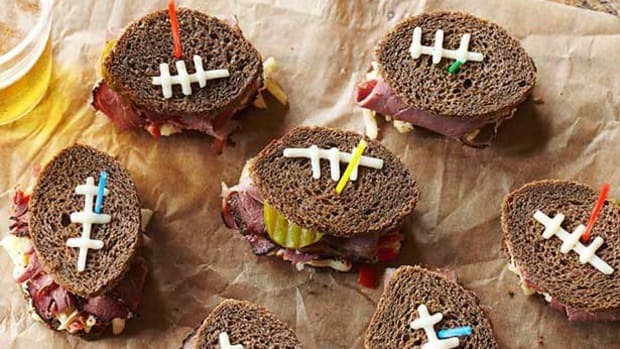 It’s a Super Bowl party, so classics like chicken wings and sliders are a must. I love my stand from Pier 1. A multi-tiered stand is a great and versatile item to have. 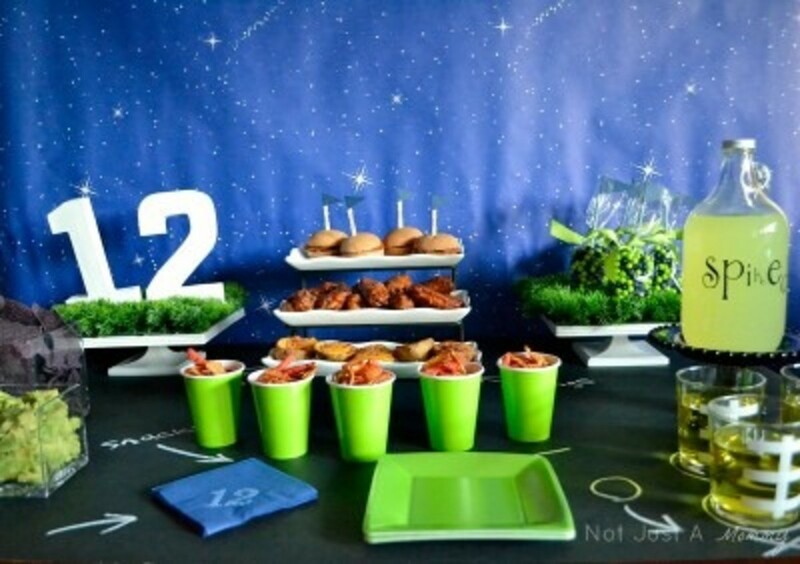 Instead of having lots of dirty hands in the snack bowls, make it easy for yourself and guests and put them in smaller cups. Label them with a marker so they can keep track. I always say, the little details count. 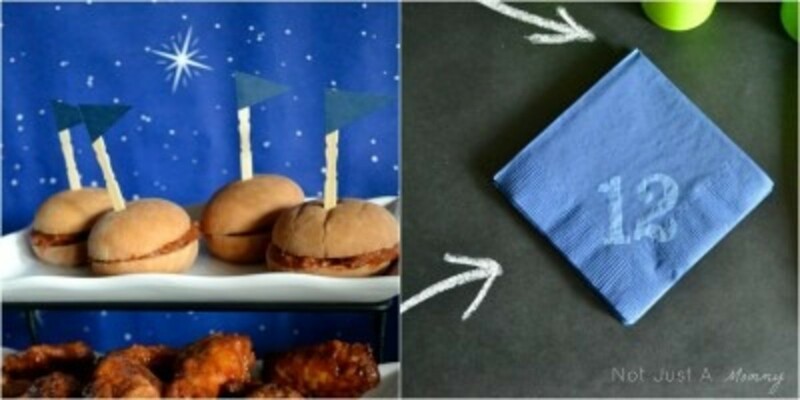 Pick up appetizer sticks from Dollar Tree, glue on little snips of paper and turn them into pennant flags. 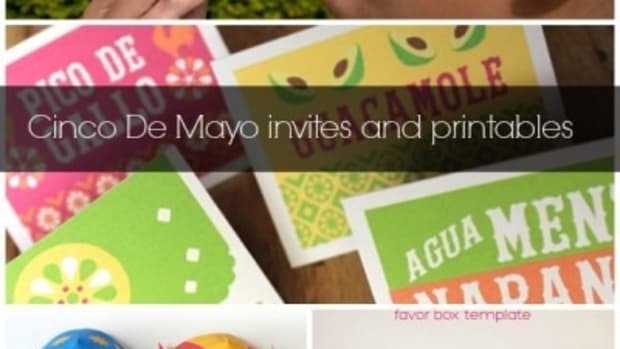 With a non-toxic ink pad, dress up napkins with a simple stamp like I did. 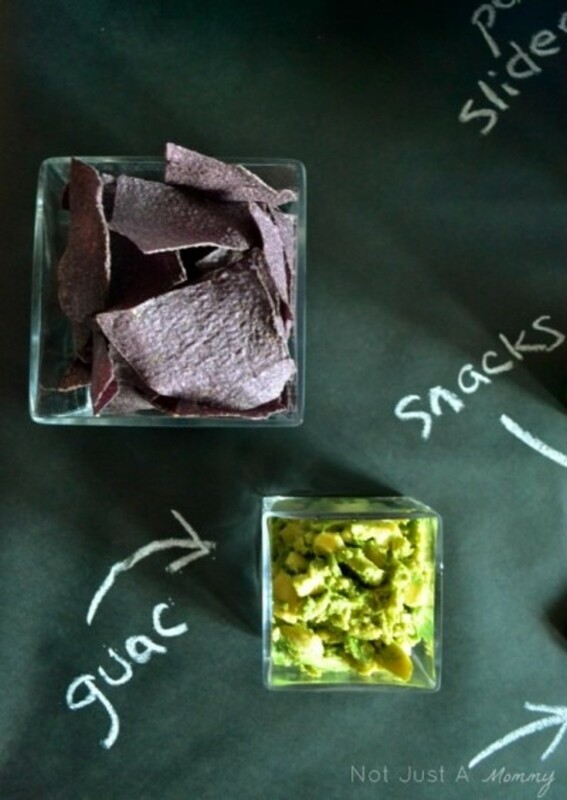 Oh yeah, I went there with blue corn chips and guacamole. 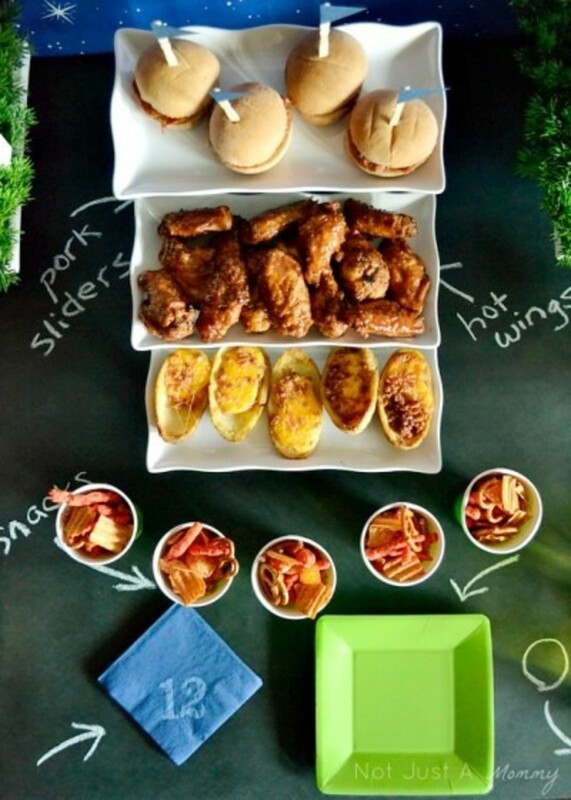 A Seattle Seahawks Super Bowl Party incorporates those beautiful blues and greens anywhere we can! 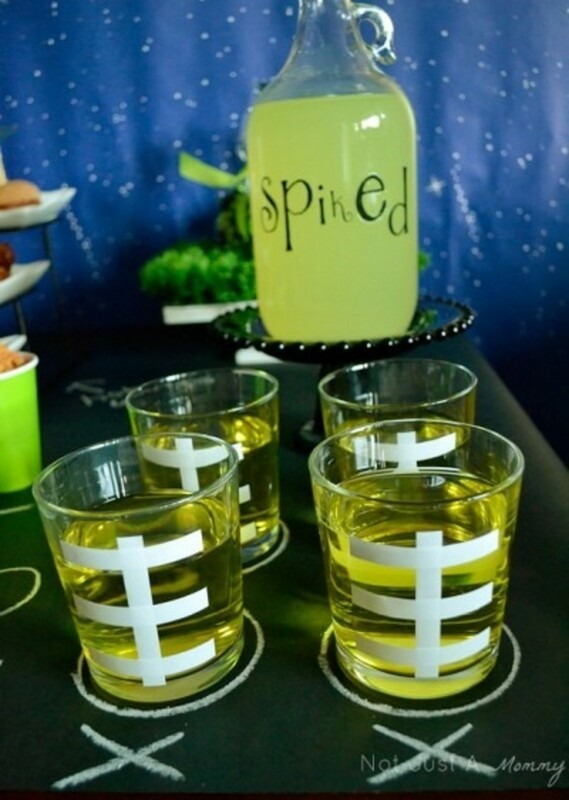 A growler full of spiked lemonade is perfect for your non-beer-drinking friends, like me. Have a little fun with your glasses by adding on strips of white tape like washi tape or electrical tape. Thanks to Celebrations by Sweetworks‘ perfect shades of Sixlets in lime green and navy, you can send your guests off in sweet style. 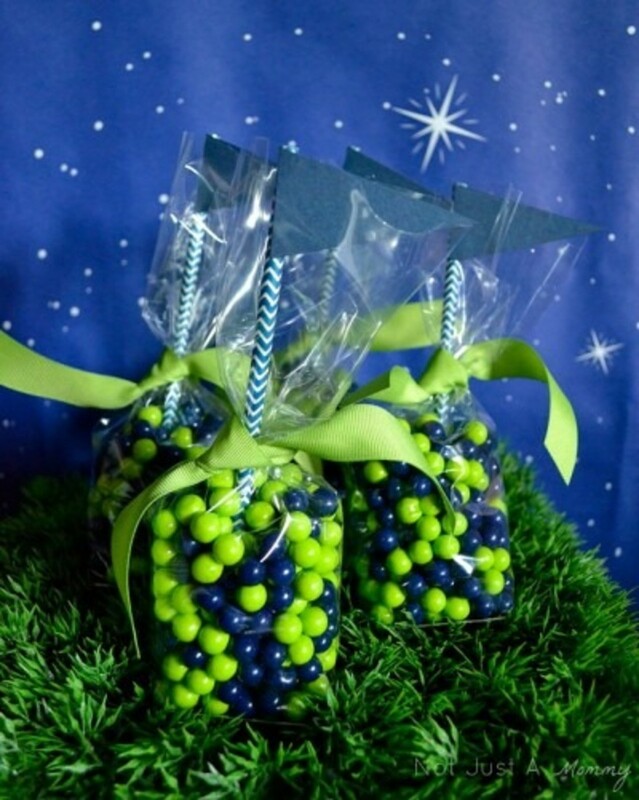 I love these flat-bottom candy bags from my favorite party stash store, Packaging Specialties. 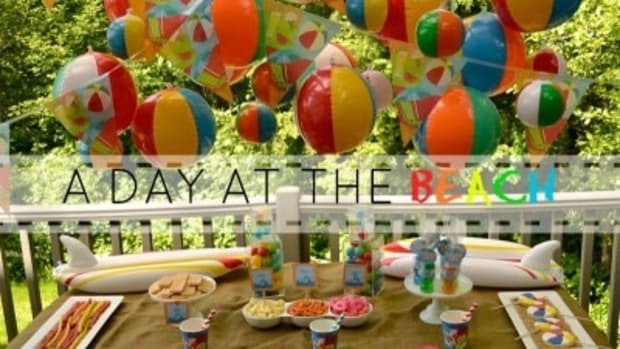 I finished them off with pennant flags I made with Sweets & Treats Boutique’s chevron straws. 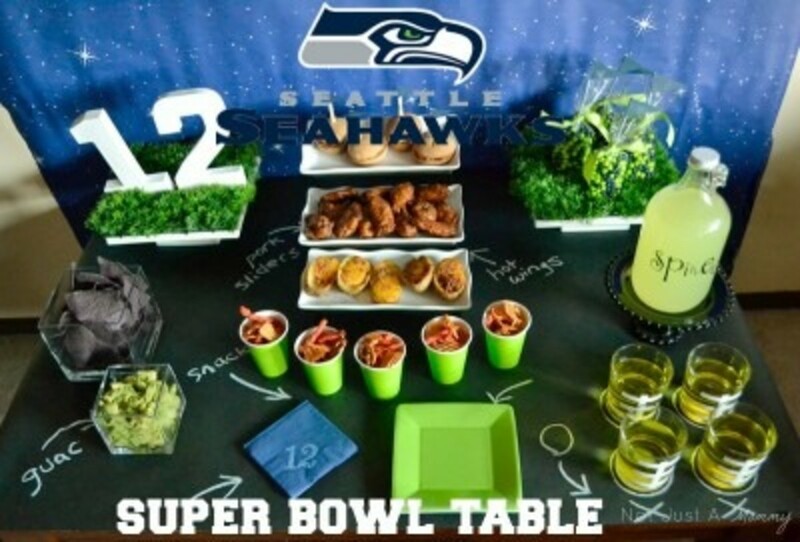 I hope you are inspired to have a little fun with your Seattle Seahawks Super Bowl Party spread this weekend! Go Seahawks!